From New York to Nashville... Motown to Hollywood, we celebrate the timeless styles worn by some of the greatest trend setters out there! Click here to see them all! 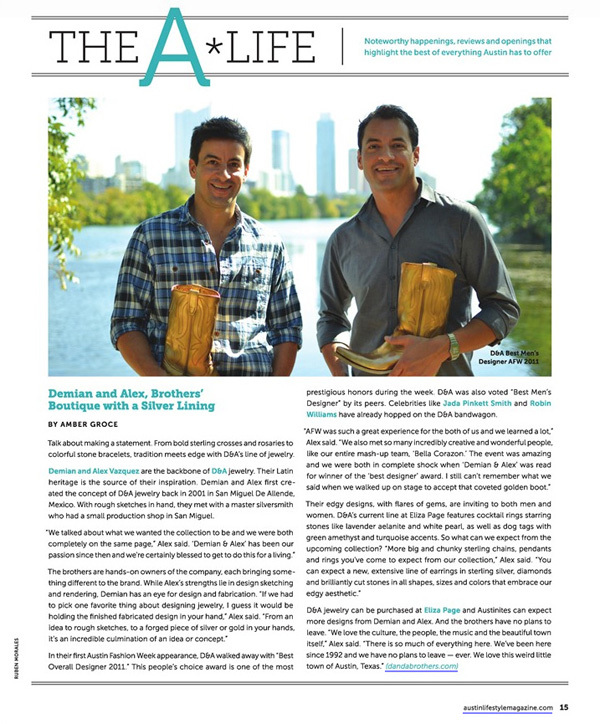 D&A / March/April 2014, Austin NSIDE Magazine.